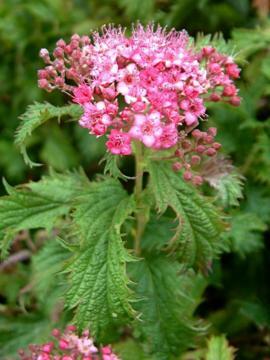 Small deciduous shrub with deeply toothed, heavily veined and twisted, green leaves, purple-red when young. Flat heads of deep reddish pink flowers in summer. Best in well drained fertile soil in full sun, but fairly tolerant of varying conditions.